What are fabulous fashion secrets to look your best at any age? People often tend to say age is just a number, but the real question is the following: does age have anything to do with your fashion choices or is it more about your state of mind? Well, we have to say that both could be taken into consideration, and if you want to learn how, stay with us and keep on reading. Here are some amazing secrets that’ll help you look your best at every age, so check them out! When you’re in your 20s, nothing can stop you from chasing your dreams and achieving your goals, and that’s true for your personal fashion style as well. This age is definitely the best for experimenting with trends since that’s a great way to make some deliberate fashion choices and learn what suits you best. Of course, this doesn’t mean that you shouldn’t invest in quality basics like a nice pair of jeans, leather jackets, black and white T-shirts, and classic ankle booties. Once you have them in your closet, be sure you get some statement jewelry and trendy bags you can always match with those basics, and you’ll be just fine! Once you turn 30, your personal style will become much more refined. It changes with your age, and your 30s are a perfect time to revamp your wardrobe with some elegant yet edgy garments. Tailored pieces that flatter your body are never a bad idea, as well as designer pieces like shoes and bags that’ll add a touch of luxury to your everyday combos. Well-fitted high-waisted jeans might be your best friend, as well as, pencil skirts that follow your body shape. Besides that, make sure you have at least one structured blazer in your wardrobe since this piece is very fashion versatile and therefore appropriate for so many occasions. Women in their 40s often claim that they’ve never felt more powerful, independent, and strong, which undoubtedly plays a huge role in making some fashion choices. This decade in any woman’s life is an amazing time to perfect her style, which is exactly why so many ladies gravitate towards more elegant outfits. When it comes to denim, you should stick to pure denim brands and opt for mid or high-rise jeans. These can look really elegant when paired with a tailored blazer, a trendy button-down, and appropriate footwear, which is a perfect option for both business meetings and seeing your friends for cocktails after work. When a woman turns 50, it’s obvious that her personal style has evolved so much that it became almost impeccable over time. Of course, there’s always room for improvement, but the fact is that women in their 50s are beyond elegant and glamorous. They know what suits their style and what doesn’t, which makes them true fashionistas who really mean business. No matter what size you are, there is a variety of fabulous garments that will perfectly fit your personal style. From stylish plus size dresses to gorgeous tailored suits and classic jeans – possibilities are truly infinite when talking about making fashion choices in your 50s, so don’t be afraid to pick anything you find suitable for a particular look. Trust us, you can pull off anything you want! Ladies in their 60s are often the most classy and sophisticated for one simple reason – they’ve formed their personal style a long time ago, knowing what suits their body shape. That’s exactly their major secret and a formula for flawless fashion taste. They know that age is nothing but a number, which allows them not to take fashion too seriously. That’s the key to success when it comes to mastering everyday outfits like a pro. Keeping up with the latest fashion trends isn’t a thing any longer – it’s all about the ability to pull off even the simplest garment in a classy and elegant way, which is what women in their 60s are capable of. As you can see, you can really look fashionable and stylish all the time, no matter your age, size, or personal style. Just be sure to bear these fashion secrets in your mind and you’ll master your outfits like a true fashionista! Now that you know how to look like a fashionista – regardless of your age and feel good about yourself on the outside – you may also want to give the inner spirit a little makeover too. 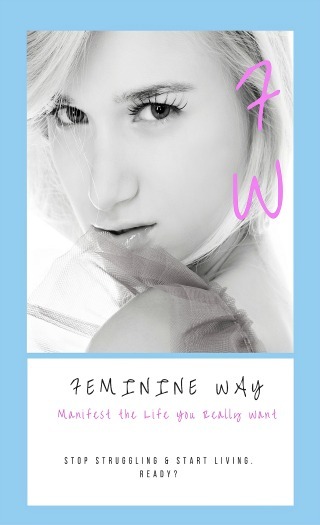 See below for our most popular program, Feminine Way, Manifest the Life You Really Want. Enjoy! 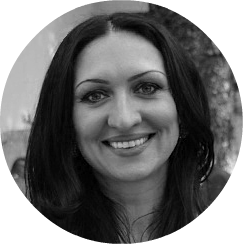 Teresa Salhi, founder of Empower The Dream. See more and register now!